STACK are celebrating over 25 years of business as one of the world’s leading manufacturers and suppliers of race car instrumentation, dash display and data acquisition systems. 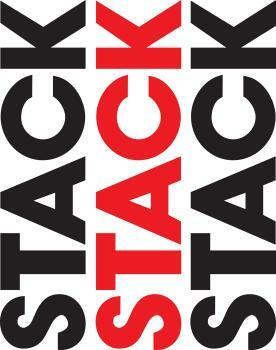 Stack has supplied to 1000’s of competitors around the globe and across the full spectrum of racing series. In addition to supplying to virtually all of the top teams and constructors, we have also supplied to the Automotive Test Industry as well as to a number of low-volume vehicle manufacturers. These include Caterham, Westfield, Lotus, Yamaha, Honda and Koenigsegg, and in a number of cases we have designed bespoke dash displays specifically for a manufacturer. The Stack brand has a heritage firmly founded in Formula One and a reputation built on many years of racing pedigree. Our first product was the ST400 Recording Tachometer, which in it’s day provided the only on-vehicle solution for accurate, digital RPM display and engine parameter logging. As a direct result, this unit soon gained widespread acceptance with the Formula One teams. Like a true champion, we have not rested upon our laurels and have built upon this early success to develop a full range of class leading products. Our philosophy is to lead the way in using new technologies in innovative ways to provide our customers with more advanced and quality engineered products. Products now include sophisticated modular data and video-logging solutions, integrated driver displays, tachometers, powerful, easy-to-use data analysis software and unique harsh environment products. Video solutions include Synchronised Video, Video/Data Overlay, and a range of solid-state, ruggedized Digital Video Recorders (DVRs). Stack also supplies solutions for data acquisition in test and engineering applications. Systems available to 128 channels, a full range of direct sensor interfaces and ECU connectivity via serial CAN-bus. RPMWare is a dedicated team of industry veterans focused on creating incredible software applications for performance shops, warehouse distributors and manufacturers. We bring together all the players in the automotive aftermarket industry and make it easier for everyone to do business.